The most surefire way to minimize the risk of property damage caused by falling trees and heavy branches that occur during powerful inclement weather is to follow a consistent tree maintenance schedule with the help of a professional arborist. Though having your trees routinely checked for potential safety hazards does not guarantee that they will be able to withstand damage caused by worst-case storms, they will be much more structurally sound and have a higher chance of surviving with only minimal damage. Each year, thousands of trees that line public streets are lost as a result of damage from wind, ice and lightning. The destruction can cause widespread power loss as well as extensive property damage. Preventative tree maintenance is most critical prior to hurricane season and winter. It is a minor expense that can save you from needing costly repairs and even tree removal services down the road. The six main types of storm damage to trees are: blowing over, stem failure, crown twist, root failure, branch failure and lightning. Trees that blow over from high wind forces are most often those which have not been well-maintained throughout the years. Stem failure typically occurs as a result from internal weakness caused by prior external injuries, whereas root failure is likely the result of disease, damage from construction, or simply not having enough room to grow. Crown twist happens when the crown of the tree (the leaves and supporting branches and twigs) is lopsided; during strong winds, this imbalance of weight can cause a fundamentally damaging twist on major branches or the trunk. Preventative Tree maintenance involves several key factors. Perhaps the most important is regular pruning of trees to prevent them from becoming overly dense and heavily branched— this is especially important if your trees are positioned near power lines. In addition to making your trees less of a liability come storm season, pruning also enhances their overall appearance by giving them a more symmetrical shape and form. Tree removal is often an aspect of preventative care if you have trees that have severe internal decay, broken roots or are leaning heavily to one side. With serious damage comes serious future risk, so treatment and repair aren’t always viable options. Professional tree removal companies will be able to tell you whether or not any questionable trees on your land can be saved or if their presence is likely to become a safety and/or property hazard. The highly trained arborists at Lucas Tree are here to thoroughly evaluate your property before the nasty weather arrives. We will identify and prioritize any potential problems and inform you of your best options so that you can avoid expensive and unnecessary damage down the road. Preserving and protecting the land is our passion. We understand that maintaining the health of trees is of vital importance in any condition—but during periods of inclement weather, it can be a matter of life and death. Employ a professional arborist for regular pruning to remove weak and defective branches. Avoid causing any external wounds that can cause decay. If building your own home, hire an arborist who can help you select the right species of trees to plant on your property, as well as choose the best spots to plant them. Having the ideal conditions for growing root systems allows for the healthiest and strongest trees to thrive. Remove trees that are dead or dying. Invest in annual inspections from certified arborists who can detect and treat weak spots that you might not notice. 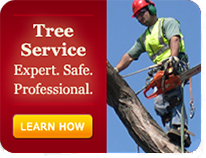 Don’t wait until the last minute before a hurricane or winter storm is approaching to call a tree specialist. When the trees surrounding your home are maintained regularly and properly with the help of a professional, they actually serve as a protective buffer from strong winds. Houses that have healthy trees in their yard generally receive less damage than those without. It is important to note this because it is often a misconception that it is the trees themselves that are the liability during bad weather. This is simply untrue; trees that are well cared for are much more capable of withstanding damaging winds — and protecting your home. Neglected trees are the ones that pose the biggest risk for widespread damage to surrounding properties, so don’t put your home and loved ones in harm’s way by ignoring this crucial aspect of landscape maintenance. Don’t be a victim of the weather; call Lucas Tree today and learn how our preventative tree services offer you the best insurance for a safe and sound storm season.